What a fabulous season for men’s outerwear! While a cool fall ’18 and the early onset of winter weather across much of the country certainly helped, the category is clearly being driven by fashion, as well as by growing consumer interest in tech fibers and sustainability. Like practically every category in menswear, outerwear has been impacted by streetwear, sustainability and collaborations. At G-III (the country’s largest outerwear maker and the backbone of department store business), outerwear veteran Ron Finestone talks about a banner year for his labels: from Tommy Hilfiger (#1 brand, streetwear-inspired, logos, color blocking, cool details) and DKNY (logos, sophisticated street looks) to Levis (classic cool, lots of sherpa trim and linings, cool details) and Dockers (classic turned hipster) to GH Bass (outdoor/adventure). Finestone attributes G-III’s strong business to many factors: a logistical supply chain that puts the right product where it’s working, an extended selling season, fabulous fashion at value pricepoints (OTD under $100 in most cases), an emphasis on upscale details. Also key: Each brand has its own niche and guys are buying in multiples. At Cockpit USA, fashion is leading the way. 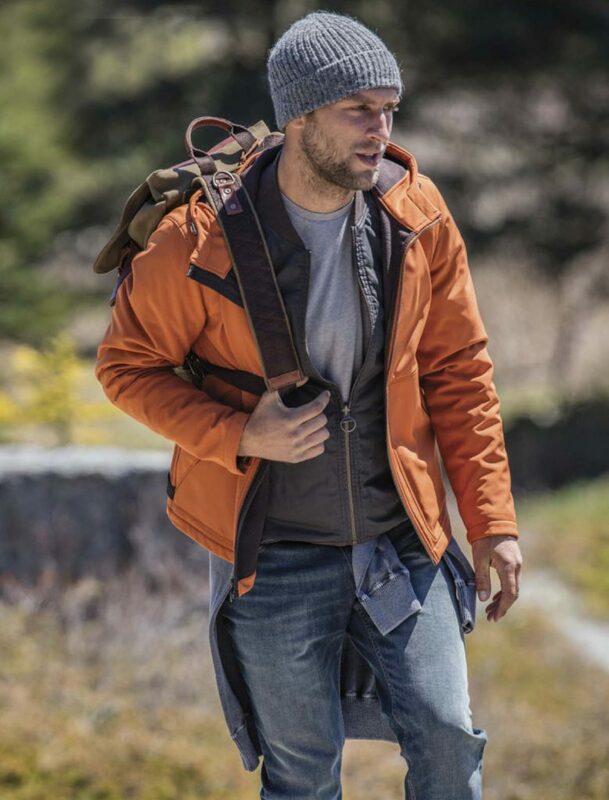 “While the weather does help, we find people are buying outerwear for the look; they start wearing the new items at the slightest decrease in temperature,” says Jacky Clyman, executive vice president. The brand has seen an increase in sales of sheepskin, varsity looks and vests. For fall ’19, expect to see a broader range of fashion, from heavy weight shearlings to feather weight leathers. Herno, an Italian outerwear brand, will debut its “First Act” collection in 2019, a men’s and women’s outerwear collection produced with “Product Environmental Footprint” sustainability certification. The company, which has been in business since after World War II, did a three-year study to achieve certification; this eight-piece collection will not only feature reduced carbon and water footprints in its manufacturing, but the coats will be machine-washable on low temperatures for a true eco-friendly touch. Canadian brand Norden, launched last year by Montreal-based manufacturer Better Narrative, features a collection of jackets, each of which is made anywhere from 25 to 99 percent recycled plastic bottles, with a manufacturing process that is said to consume 45 percent less energy, 20 percent less water and produce 30 percent less green gas emissions. In December, The North Face announced a collaboration with streetwear retailer Extra Butter. The “Night Crawlers” collection took inspiration from New York City nights as depicted in classic neo-noir films. The grouping included riffs on favorite North Face silhouettes like the Novelty Nuptse (a puffer jacket) and Denali Fleece Anorak. North Face also teamed up with Japanese retailer BEAMS on the brand’s third collaboration featuring serious technical details for ski season. Alpha Industries, which had a successful collaboration with Public School in 2017, has yet another premium designer partnership in the works. 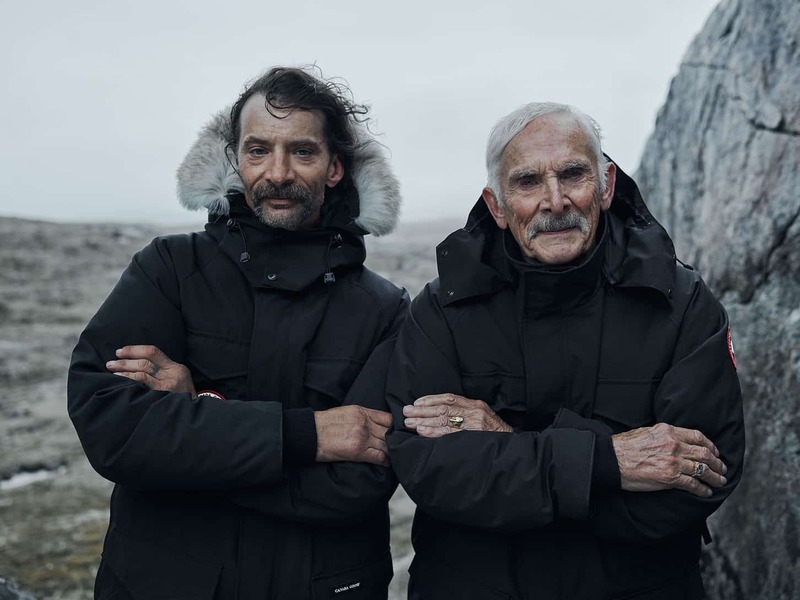 The brand celebrates its 60th anniversary in 2019 and will be working with a watchmaker to create a commemorative jacket for the anniversary of the moon landing. “It will be a special limited edition; we’re partnering with the Smithsonian Air & Space Museum,” says Cirker. At all price levels, more sportswear collections are adding outerwear to their mix. Lululemon, for example—a brand known primarily for yoga and yoga-influenced apparel—debuted functional outerwear in 2018. The move added to an increase in direct-to-consumer sales, and was considered a win for its investors.